You might remember when Jawbone announced the promising UP wristband that resembled what Nike was doing with their FuelBand just last year. However, the hardware design was subpar and ended up being recalled and Jawbone offered a "No Questions Asked" refund to all of its customers. 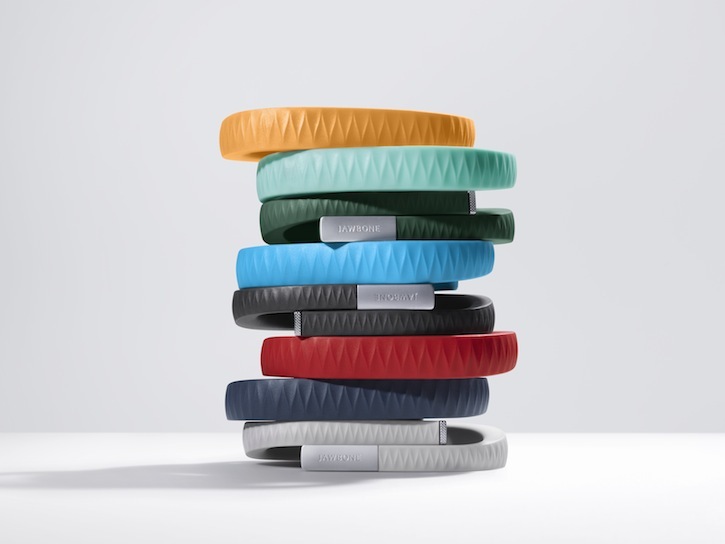 Now, they're back at it again with the Jawbone UP 2.0 that features a much better redesign in both the hardware as well as the software. The main issue users had with the old UP was that water would sneak into the band itself and cause mayhem on the circuitry, leaving you with a dead or twitchy wristband. For some odd reason, Jawbone didn't think users would be "bending and playing" with the UP as much as they had planned, which led to more circuit board issues such as cracking. To redeem themselves, Jawbone has improved the overall bonding of the UP wristband and has upgraded their circuit boards with much more flexible versions. By decreasing the number of joints and exposed areas on the UP, it should reduce the number of problems users have experienced in the past version. On top of hardware, the iOS app got a nice makeover too. Featuring sleep tracking, smarter calorie counters and even some push notifications to recommend some jogging on your lazy days. These redesigned wristbands will be available for $129 and will be on sale immediately on their website. They are currently only available in black but will come in 8 different flavors later on.